Who said you can't look sharp and show your fandom at the same time? Show off the First Order's droid with these Star Wars: The Last Jedi BB-9E Cufflinks, featuring the BB-9E, which appears in the film Star Wars: Episode VIII - The Last Jedi. 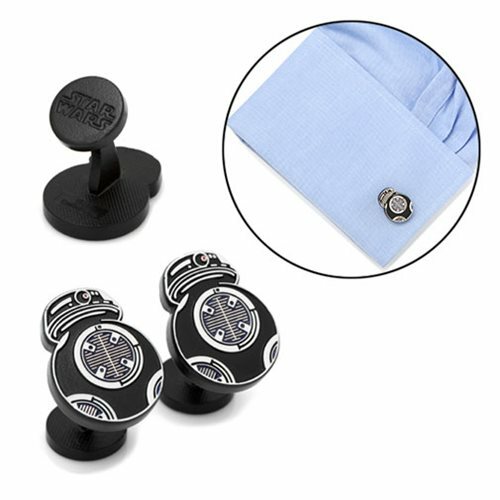 These sleek cufflinks measure approximately 7/8-inches x 5/8-inches and are made of plated base metal and enamel. Comes with a fixed Star Wars Logo Backing.